This survey attempts to explain back-to-college shopping spending plans of U.S. consumers in 2017. 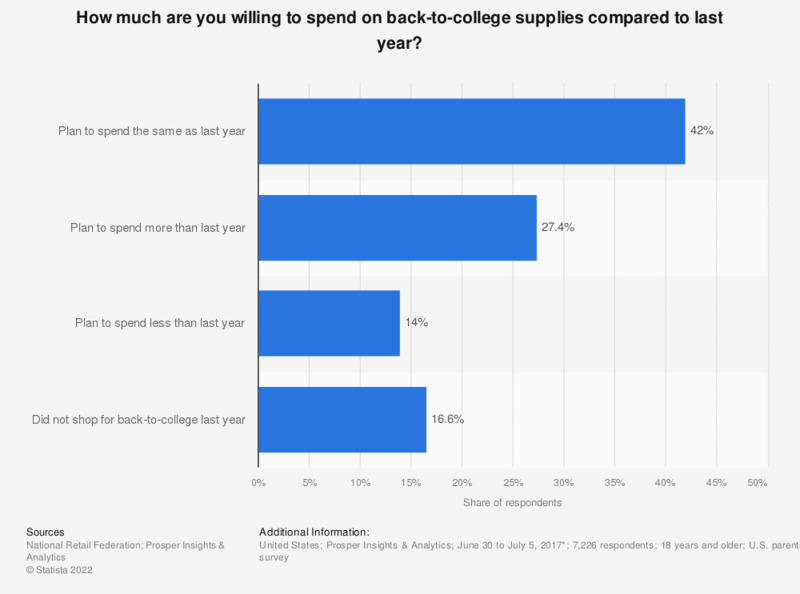 The survey revealed that 42 percent of the respondents surveyed said they estimate to spend about the same amount on back-to-college supplies as they did in the previous year. The survey has a margin of error of +/- 1.2 percentage points. How much are you willing to spend on back-to-college supplies? Which of these offline sources informed your recent purchase? How much does your household expect to spend on fireworks this year?